way of life that the Brewery represented. 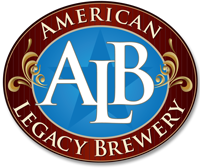 Ours is a history shared by only a few surviving legacy breweries inthis country. Today, a new generation of Peter’s descendants carry-on his brewing traditions, maintaining the quality and relevance of our products and sustaining the heritage of Peter Straub. In St. Marys, Peter first worked at the Windfelder Brewery, which later became the Luhr Brewery, on Center Street. 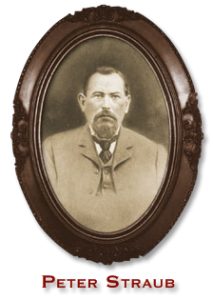 In the early 1870s, Peter was hired by Francis Sorg as brewmaster and manager for his brewery. The standard Straub Brewery founding date of 1872 reflects when Peter first moved to St. Marys and began brewing. He did not own the brewery until 1878.
and then on to France, where they attended the Exposition Universelle in Paris. Peter and Sabina had 10 children: Gerard Benedict (Gerry), Peter (Sr.), Mary Crescentia (Marian, later Mrs. Daniel Curran), Alfonse James (Ponce), Peter Paul (Pete), Jacob Melchior (Fr. Gilbert), Joseph Anthony (Joe), Anna Angela (later Mrs. Frederick Luhr), Francis Xavier (Frank), Anthony Albert (Tony) and Peter Mathaeus (died at age two).